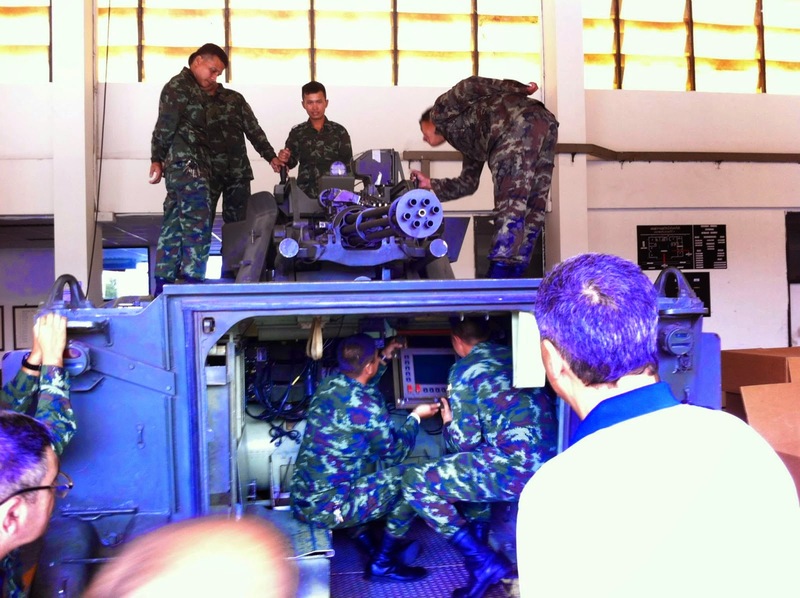 BANGKOK, -- The venerable M163-VADS of the Royal Thai Army will get an upgrade from IMI . The upgrade will consist of laser rangefinder to replace AN/VPS-2 , video feed , thermal imaging sight (uncooled) and some new functions , e.g. remote operation, all weather engagement capability or even automatic target tracking . The M163 Vulcan Air Defense System (VADS) is a self-propelled anti-aircraft gun (SPAAG). The M168 gun is a variant of the General Dynamics 20 mm M61 Vulcan rotary cannon , the weapon is mounted on a modified M113 vehicle. The M163s uses a small, range-only radar, the AN/VPS-2, and an M61 optical lead-calculating sight. The system is suitable for night operations with the use of AN/PVS series night vision sights that can be mounted to the right side of the primary sight. The M168 20mm gatling autocannon rotary gun fires at 3,000 rounds per minute in short bursts of 10, 30, 60, or 100 rounds or it can fire in continuous fire mode at a rate of 1,000 rounds per minute. A linkless feed system is used. Royal Thai Army (RTA) M163-Vulcan Air Defense System (VADS).